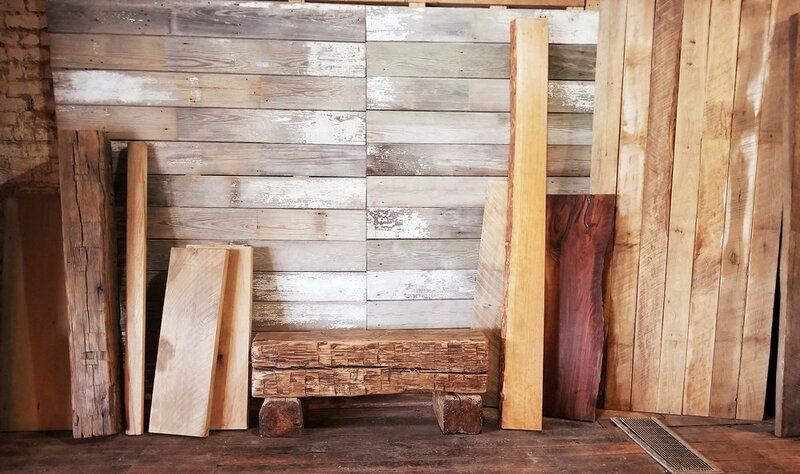 We mill barn wood into wall panel for those creating beautiful accent walls in their home or business. Ship-lap barn siding is also available. It is mostly pine barn siding. 3. Decide whether you want to install or you would like us to do that for you. 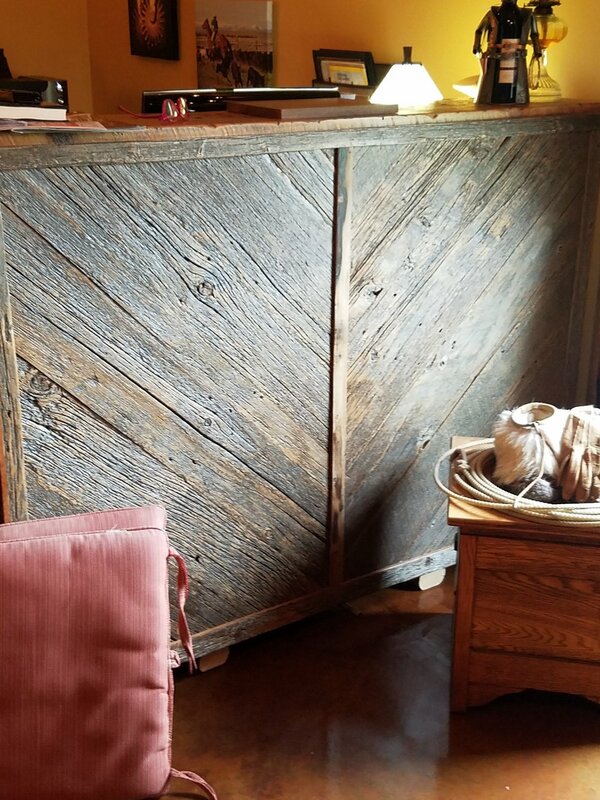 Just how do I create a CLAD WALL with reclaimed lumber? That is a question I was getting a lot. Do we just nail it to the dry wall? Do we use wood strips? 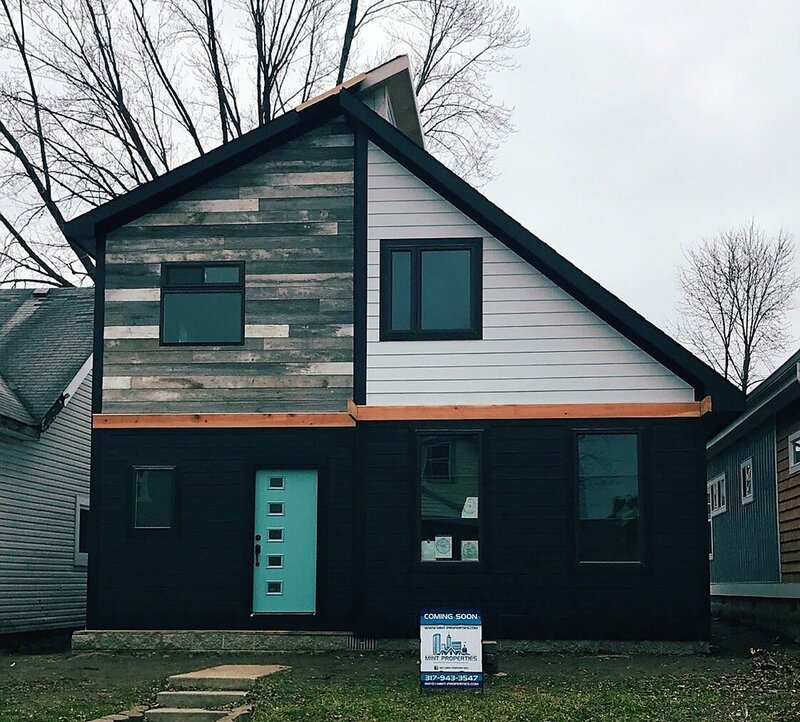 Do we use a nail gun? All great questions! I thought I would share my thoughts in an instructional (Very Basic) way. So here it goes. Step 1 Measure the length and width of your space. Multiply those together and that will tell you the square footage for your Clad Wall. Most ceilings are 8 ft. So we will work with that. *Typically 15 - 20 percent is added for waste as cuts are made and dimensions considered. Step 2 Decide what style look you want to create. Pintrest has amazing ideas as does Google. I have found that it is best to place the lumber on an OSB. 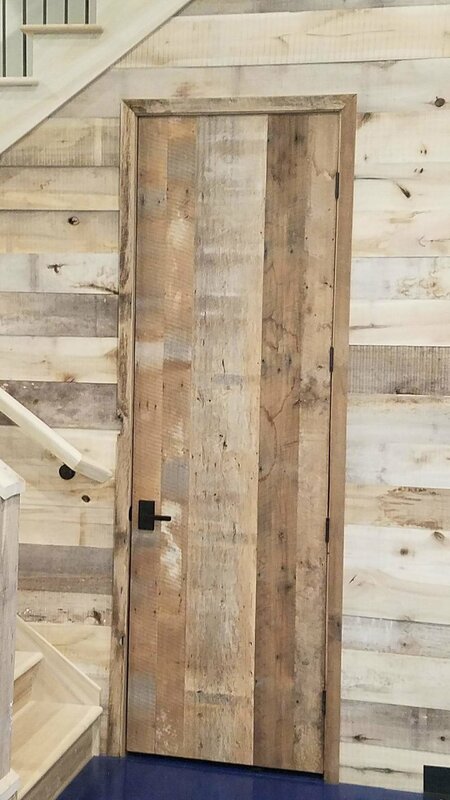 This allows you to attach the clad wall on your studs keeping your drywall from being attacked by brads coming through the reclaimed lumber. The other thing it allows for is adjustments. Putting together the clad wall is like creating art or building a puzzle. This is especially true if you want a lot of dimension and randomness to the lumber size and thickness that you want. So you will need to measure and purchase OSB- Approx. $18.00 a sheet at the lumber store. The sheets come in 8 foot x 5 foot sheets. I typically cut them in half before putting the lumber on them. The reclaimed lumber is very heavy. Mounting the Clad Wall in sections is just easier than mounting the entire 8 x 5 sheet. You will need to take into consideration where the pieces meet on your wall when you are creating. Just keep that in mind. Step 4 Paint the OSB black. This will help as you are creating. Reclaimed Lumber is not straight. There will be small spaces between some of your boards. Just accept this now. Painting the OSB keeps those spaces from being noticed when the project is complete. It saves you a lot of headache when matching up the pieces!! Step 5 Decide the style of lumber and the width, length, and thickness that you want the lumber. The options are endless. There is not right or wrong answer to this. Select what you like. You are the one looking at it. Some love the random look. Others like a more consistent look. Your accent wall can be prebuilt and mounted on the studs. So your drywall is not damaged! The rubber mallet will help you keep the lumber tight. This takes time so be patient and have fun with it. Step 7 Once you decide the pattern for your Clad Wall, you will need to nail the lumber to the board. Using brads in an air gun ran from an air compressor is your quickest solution. Reclaimed Lumber is very dense. It is often difficult to nail… even with an air gun. Jamming occurs. It is just part of it. It does work. If there are places on the back of the OSB where nails come through, simply tap them flat when you are finished. This will keep the nails from damaging your dry wall. Starting at the top or bottom and working one line at a time will help you stay pretty level. Not all lumber is straight. So don’t kill yourself trying to reach perfection. Let the flaws be part of your walls character. Each one will be so unique. Step 8 When all of your boards are attached you can use a spray finish to protect the wood. A polycrylic is a great choice. If you have questions or thoughts, please send them my way. 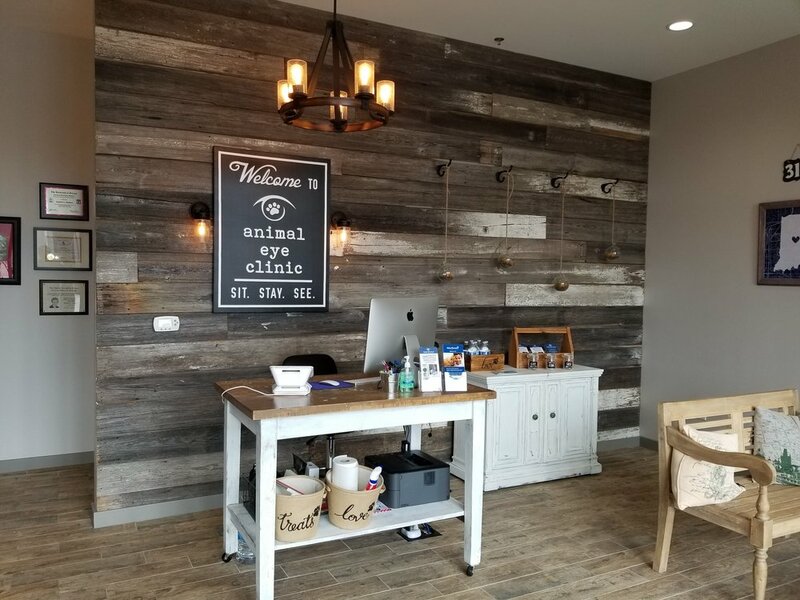 I love the look of these clad walls and I love creating them. If you do not want to create your own, just send me the measurements and select the look you want, and I will send you a quote.